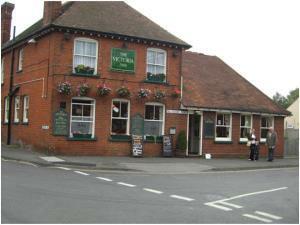 The Victoria Inn01621 783585work RestaurantThe Victoria Inn is a good friendly locals pub and is run by Nick and Irene Rogers. Good home cooked food made from local produce is served everyday from 1200 until 1445 with a vast menu and included vegetarian options. The beers available are Guest Ales, John Smiths, Fosters, Carling, Kronenbourg and Guinness. Karaoke is on every other Thursday, live music on Saturday nights, quiz nights, Live Sky Sports, Pool/Dars teams. Large patio and covered area and ample parking.